Burn Studio is locally owned by a contract muralist, certified art teacher, and Texas Tech graduate with an emphasis in Studio Art. 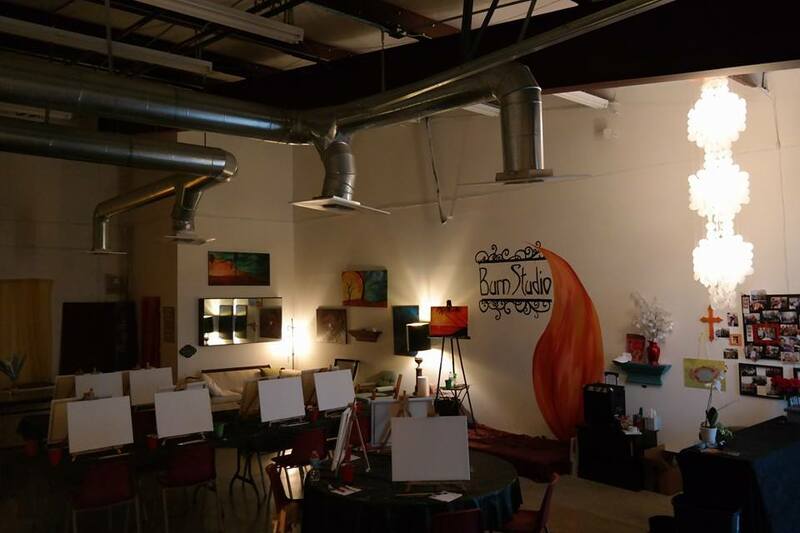 Burn Studio offers social or private painting classes for budding artists of all ages. The adult classes are the perfect way to find your artistic escape whether you are a first time painter or a seasoned artist. If you are unable to attend any of our classes, be sure to check out our SALE page where we have paintings for sale starting at $5! These are duplicates from when we are teaching the class, the originals are for sale by request.